cover » Tag » Code, Gadget, Geek! Looking for a great piece of technology that not only works hard but also delights? The ipad 2 is the tablet for you. This little package will let you view documents, prepare for a presentation, read your favorite magazine or newspaper, or play a fun game to pass the time while you wait at the doctor’s office. 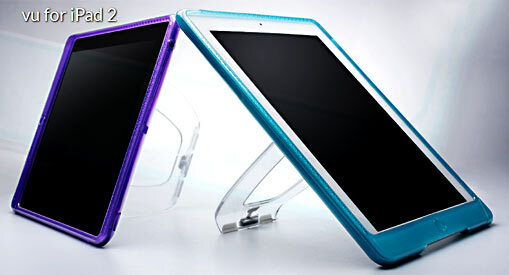 Loved by users old and young, the ipad 2 combines that perfect mix of technology and playfulness. For most people there’s no need these days to haul around a bulky laptop or even netbook. The ipad 2 offers the power, speed and memory for all your on-the-go computing work. Students in particular love the compact size and ease of the ipad. No more lugging notebooks or laptops to class. Notes, access to online lecture notes, Internet research; it’s all available at the touch of a finger. I just love the “vu” from iSkin… Try it! Covers are available for the ipad to freshen up the look, to protect from the elements or to add a personalized look to your technology. Leather covers are at the more expensive end of the price range, but vinyl covers in every color and pattern imaginable are available from thousands of retailers. Apple produces its own brand of covers, but they can also be found through online retailers, big-box stores and specialty retailers. 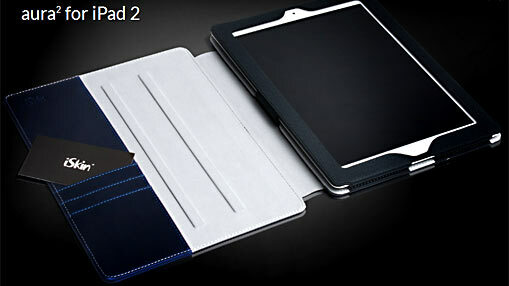 While many people prefer the sleek look of the ipad 2, others want the security and convenience offered by a cover. While smart phones have their place in our daily lives, everyone has experienced the frustration and sometimes-slow process of using a smartphone for surfing the web, or for having long conversations. The ipad can handle hours of online time, long chats with mom and even video conferencing with ease. As a convenient alternative to a larger computer, or to avoid the hassle of relying on a smart phone, the ipad 2 is ready and able to handle on the communications and electronic browsing required by daily life.